This kit will give you an adjustable 10 to 100Hp. 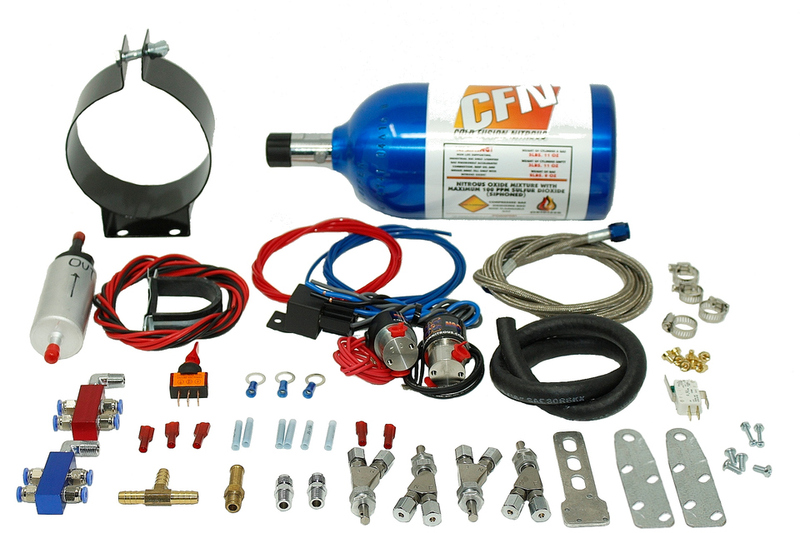 Complete 2lb bottle kit with everything you need to install including small fuel pump listed below!! Isn't it time you kept up with your buddies when passing trucks on open road? 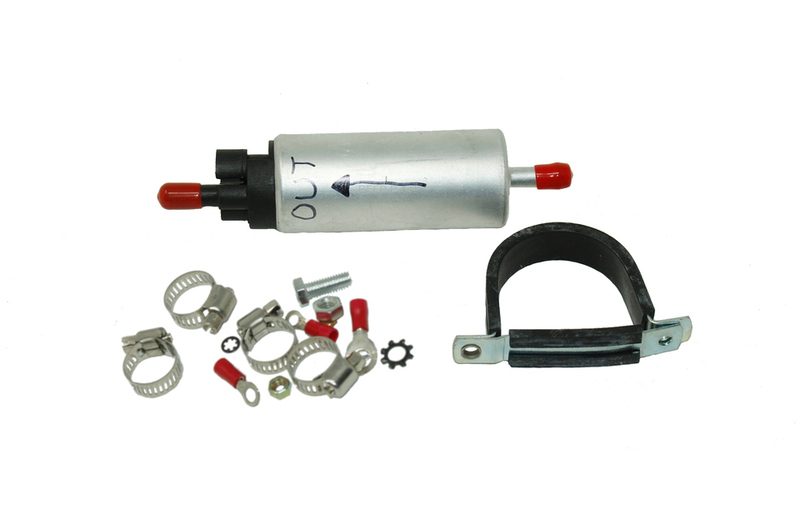 Complete 10 to 100Hp kit for dual & triple throttle bikes, includes small fuel pump listed below. Please note throttle body count at time of order. 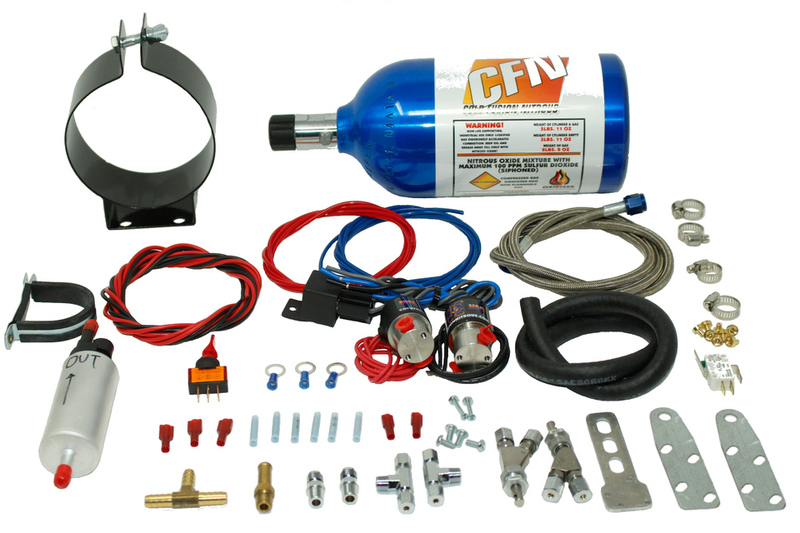 Complete 2lb bottle kit with everything you need to install for dual or triple carb application including small fuel pump listed below!! 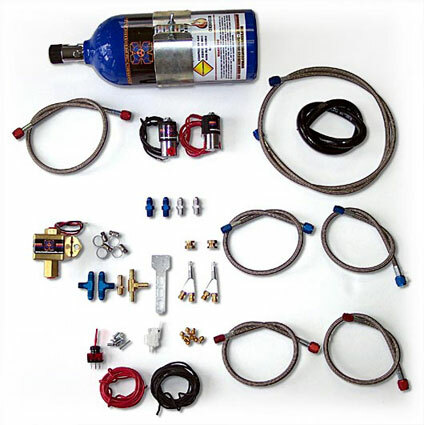 Parts include: 1 - 2lb bottle w/bottle bracket, 1 - pro N2O solenoid, 1 - Pro fuel Solenoid, solenoid fittings, 4 - pro nozzles, 24 jets, 1 - high pressure fuel line, 1 - wot switch w/bracket, 1 - 4ft braided steel line, 10ft of 1/8" of poly line with fittings, 2 distribution blocks with fittings, 6-hose clamps, 1 small fuel pump. 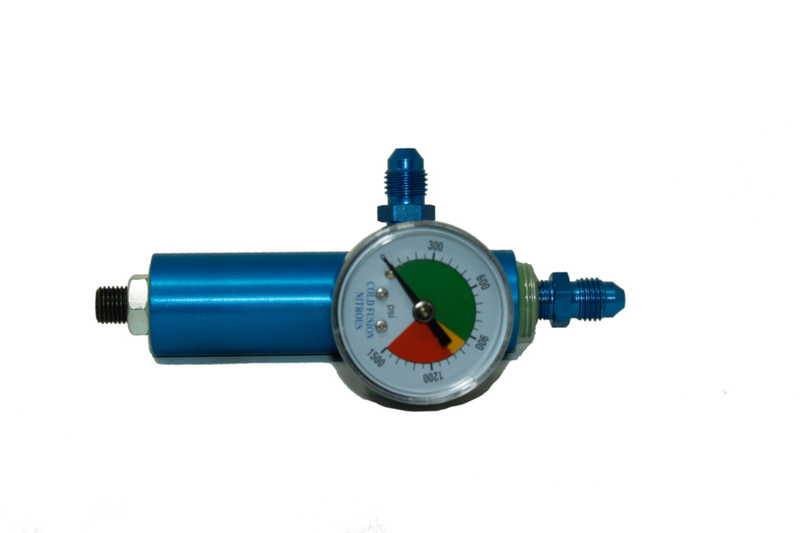 Regulator can be set between 600 & 1100 psi up to 200hp flow rate. 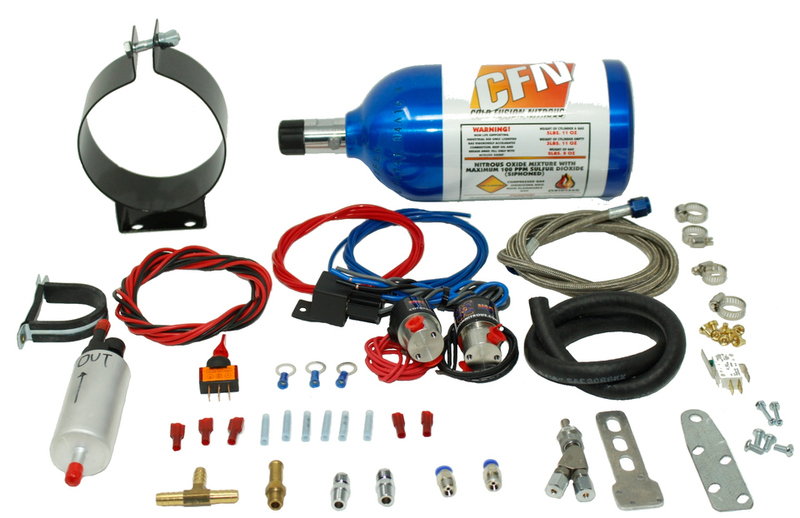 Keep your bottle pressure consistent with NEW NITROUS REGULATOR! Allows you to make run after run with the exact same bottle pressure as the run before! No more torches, HEATERS OR ice bags trying to maintain a consistent nitrous pressure. Eliminates excessive purging to maintain a consistent launch pressure.